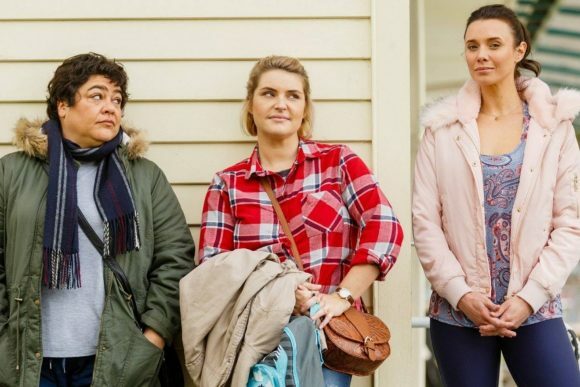 NZ On Air this morning announced it would fund as series two of the Kiwi comedy pilots that recently aired on Three: Mean Mums and Golden Boy. It’s also bankrolling a new vehicle for Guy Williams, two TVNZ OnDemand initiatives, including a psychological horror, and a sixth season of Prime’s The Brokenwood Mysteries. Five brand new screen drama and comedy projects and one internationally successful returning series will provide more opportunities for audiences to see and hear authentically New Zealand stories in 2019. The funding announcement includes the much-awaited news of the successful project from Three’s Comedy Pilot week earlier this year. The great news for comedy fans is that two of the pilots won production funding. Female-led comedy Mean Mums received the highest overall rating in the pilot week and will be developed by South Pacific Pictures into an eight-part sitcom for a prime time slot on Three. Also to become an eight-part series is Golden Boy, a MediaWorks production which draws on many of the comedy talents developing over recent years through Jono and Ben and Funny Girls. Meanwhile, Guy Williams gets his own show, travelling New Zealand with faux news programme New Zealand Today rounding out the comedy offering on Three. There are laughs too on TVNZ OnDemand with a new series I DATE Rejects. With a young Māori and Polynesian cast navigating their way through the complicated job of finding love, this series will both add to the diversity on screen and continue developing new creative talent. On a darker note, The Basement is a new psychological horror, also for TVNZ OnDemand. Taking place over a single night, viewers will uncover the terrifying truth behind the death of the central character’s mother. The Brokenwood Mysteries will be back for its sixth season in 2019. This homegrown murder mystery series continues to surprise and delight audiences on Prime, and has found significant success overseas. “Fresh investment of over $6m adds to an already diverse and extensive slate of drama and comedy we’ve commissioned this year – in total, over 3,000 minutes for TV and online audiences,” said NZ On Air Chief Executive Jane Wrightson. “Covering stories as wide-ranging as Jonah Lomu’s life, the tragic Ballantyne’s fire, a body-swap comedy drama, historical comedy, the exploits of the Wellington Paranormal cops, and our favourite ‘westie’ family – it’s a full slate. “And with more than 20 other exciting projects in development we are very confident audiences will continue to be engaged with great local stories,” Ms Wrightson continued. That’s The Story 2019, 52 x 60 mins, Loudmouth Productions for HEIHEI, up to $70,200. TVNZ & NZ On Air spent millions on HeiHei to get 200,000 views. If you calculate the cost per view/stream it works out to be $31/view. Cost effective spend, or not? More local rubbish to avoid on TV … can’t stand locally made scripted shows.